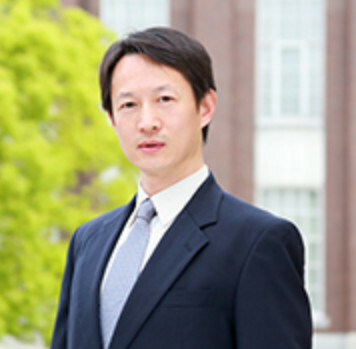 Future Wisdom Institute (FWI), leading by Prof. Liang Zhao, is an interdisciplinary research group at GSAIS (aks Shishu-Kan), Kyoto University. We research AI (Artificial Intelligence) and future wisdom in the AI age. Current members are from fields like informatics, art, education, medical care, law, civil engineering, etc. Keywords: learning, random choice, freedom, diversity, creativity, evolution. We welcome students and researchers to exchange ideas not only AI methods but also its impact, etc. Conventional definitions of wisdom are outdated by the rising of AI. Bostrom warned the game changer in "Superintelligence" (2014). In "Home Deus" (2016) Harari suggested humans are algorithms. Tegmark defined a "Life 3.0" that does not rely on a particular physical existence (2017). However, they did not show how to implement them. Wisdom = Learning + Random Selecting. We show this law implements future wisdom. With a focus mainly on AI, this group studies not only methods and applications but also its impact to human society, more importantly, how it is challenging the definition of wisdom in all fields, e.g. art, well-being, biology, education, medical care, philosophy, etc, and what we should call "wise" in the future. Usually a student studies in a particular field with a clear social issue related to wisdom. There is no limit on the field but it is better related to informatics. For example, a student is developing an early screening algorithm for dementia. We are also interested in finding the application of the learning + random selection law in preventing the decline of cognition function. More details are given in "Members" section. The definition of wisdom in English by Oxford Dictionaries states as "The quality of having experience, knowledge, and good judgement; the quality of being wise." There are many other defintions (see, e.g., Grossmann, I. (2017), "Wisdom in context", Perspectives on Psychological Science, 21 (12): 1254–1266), all focus only on humans. Conventional definitions of wisdom are outdated by the rising of AI. While there are still many people believe wisdom is a particular feature of human only, researches began to doubt it. Nick Bostrom warned the possible game changer in "Superintelligence: Paths, Dangers, Strategies" (2014). In "Home Deus: A Brief History of Tomorrow" (2016) Yuval Noah Harari suggested humans are algorithms, hence can be replaced by better algorithms. Max Tegmark then defined a "Life 3.0", i.e., lifes that do not rely on a particular physical existence ("Life 3.0", 2017). All these studies imply, though not clearly claimed, that wisdom is not a particular feature of human only. However, they did not show a definition of future wisdom and, more importantly, how to implement it. Independently, Prof. Zhao proposed a "Law of Wisdom" in 2015 at a lecture for Kyoto University ELPs (now ELP) that says Wisdom = Knowledge + Random choice (智慧＝知識＋乱択). After some studies, he argued wisdom is better defined NOT by some idea but the action to get (wise) ideas. Specifically, Wisdom = Learning + Random Selecting. The first element "Learning" denotes deterministic actions, whereas "Random Selecting" denotes nondeterministic actions. Therefore this definition (independently) matches Y.N. Harari's algorithm theory of humans (who also used deterministic and random), and it showed how to implement a wisdom. We study history to consider what would happen in the future. In the same way, we study wisdom for the purpose to study future wisdom agents. Notice that humans may not be the only wise agents in the future (see Tegmark's book "Life 3.0" if you are interested in knowing more), and we want to know how to implement wisdom for the future agents. And, if it looks dangerous (see Bostrom's book "Superintelligence"), how we can control future wise agents. AW Seminar: April 19, 26, May 10, 24, 31, June 7, 21, 28, July 5, 21, 26. Machine Learning (Deep Learning): April 19, 26, May 10, 24, 31, June 7, 21, 28, July 5, 19, 26. Renamed to Future Wisdom Institute. Now we have our own server. © Liang Zhao and FWI at Kyoto University 2015-2019. Design: HTML5 UP. Also thanks Unsplash for beatuiful images.